This is pretty much what it looked like up close and personal. 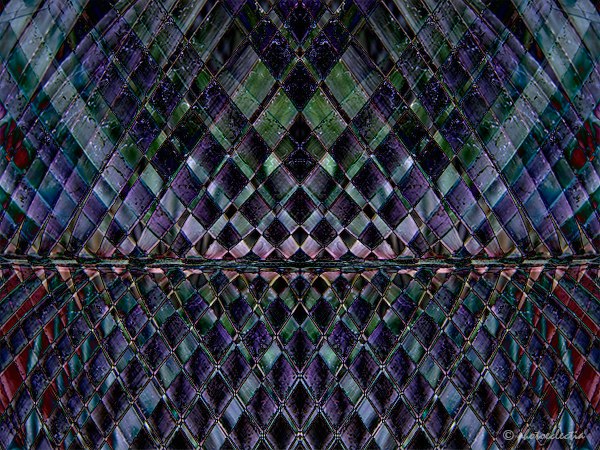 It was time to get busy on a “multiple image” challenge in a photo group I am part of. Here is my first offering. 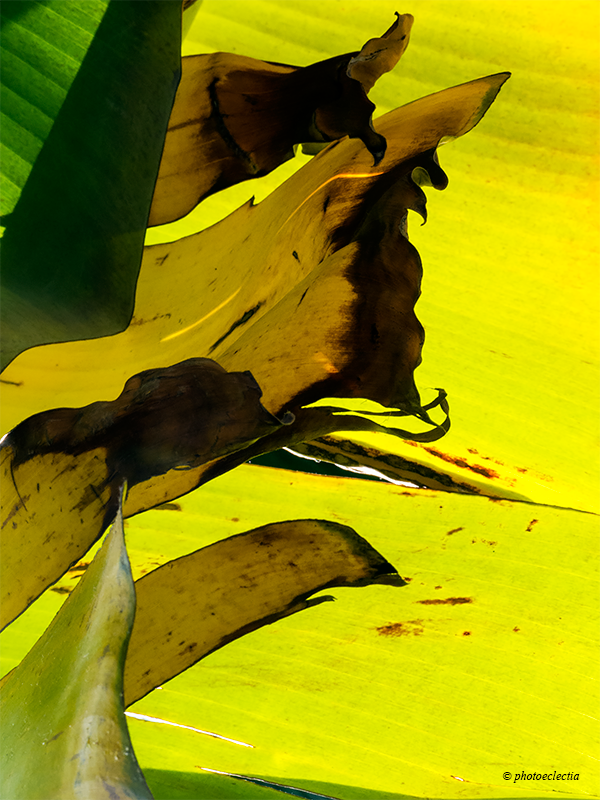 Hint: the photo started out as an image of a plant. 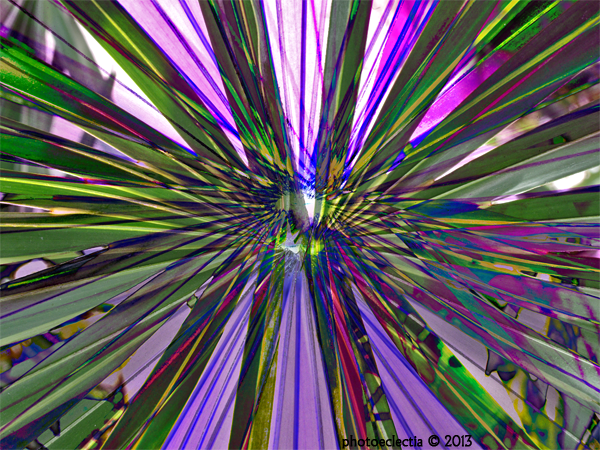 This image started out as a series of photographs of a fan-shaped green plant. With a little layering of three different photos of it, flipping layers 180 degrees, and applying various PS filters, this was the result.